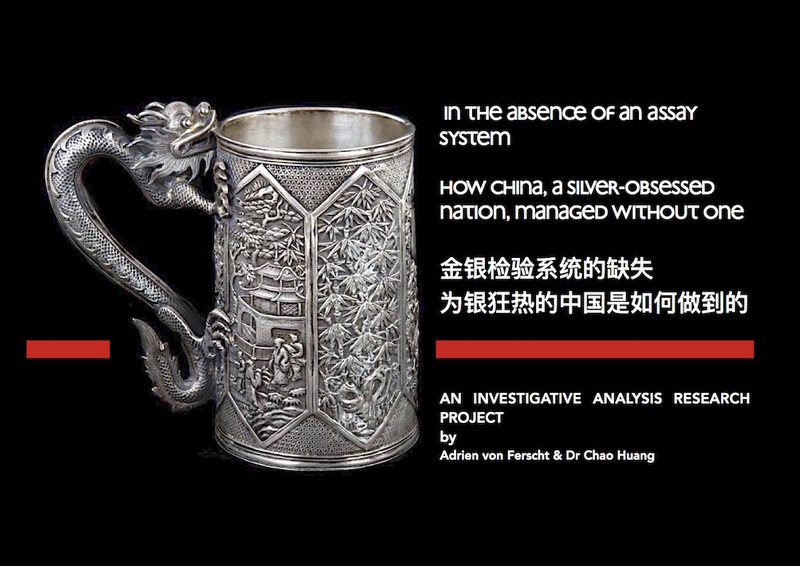 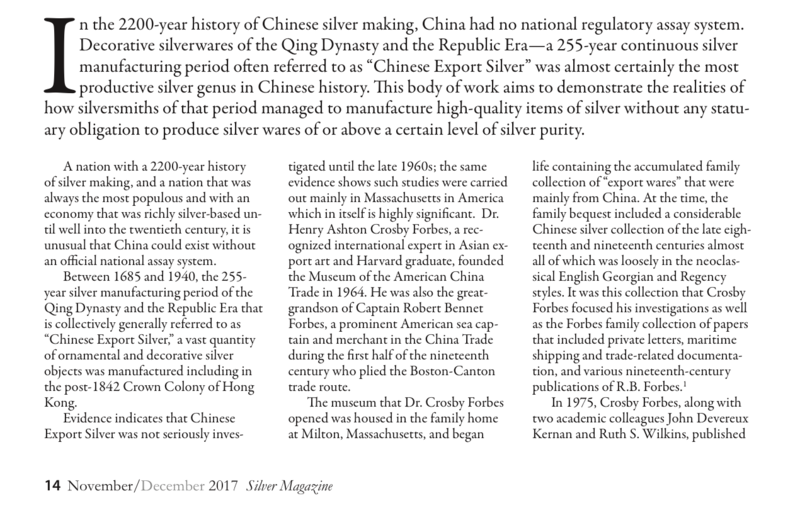 The marking of Chinese decorative or ceremonial silver objects has always been haphazard and at times wholly absent, but it is reasonable to assume that the phenomenon we in the West know as the China Trade and the dramatic increase in regular shipping of goods such as tea between the southern Chinese port of Canton and Europe, America and Australia created an alternative market for this silver for a variety of reasons; as a genus, the silver was inextricably linked to the China Trade. 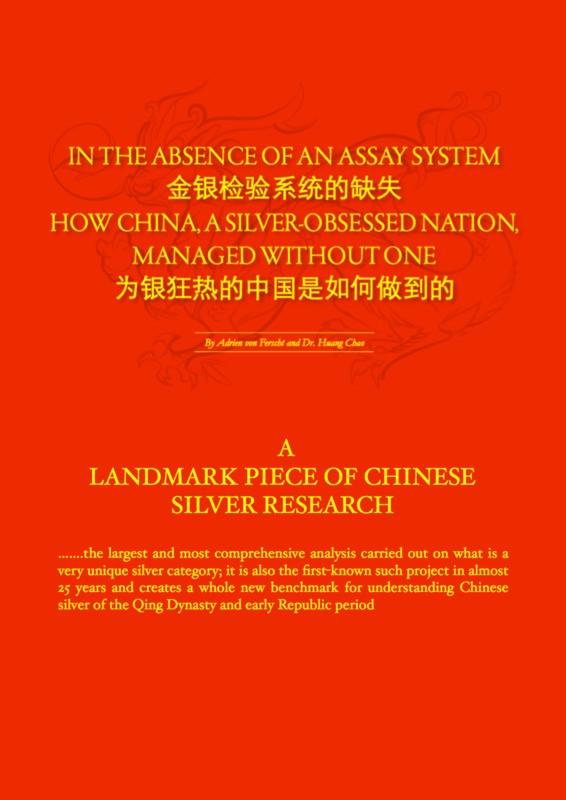 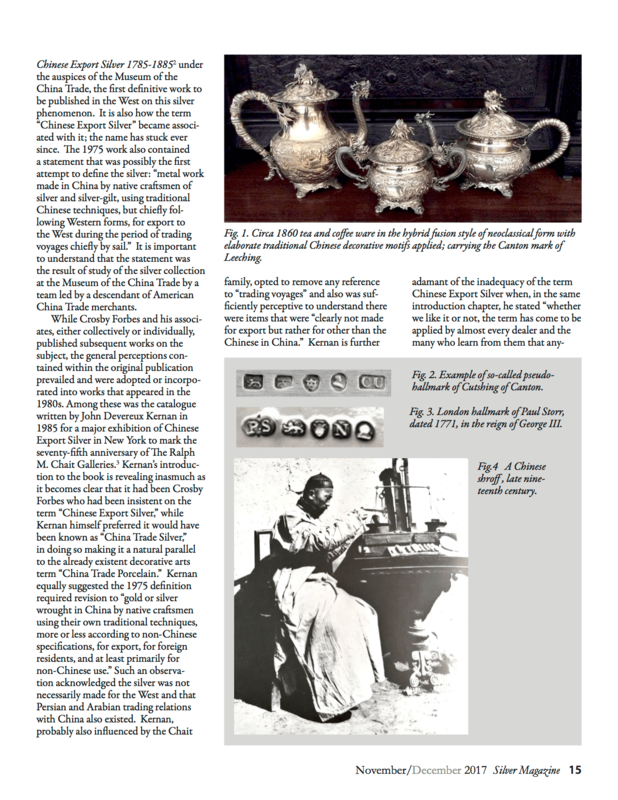 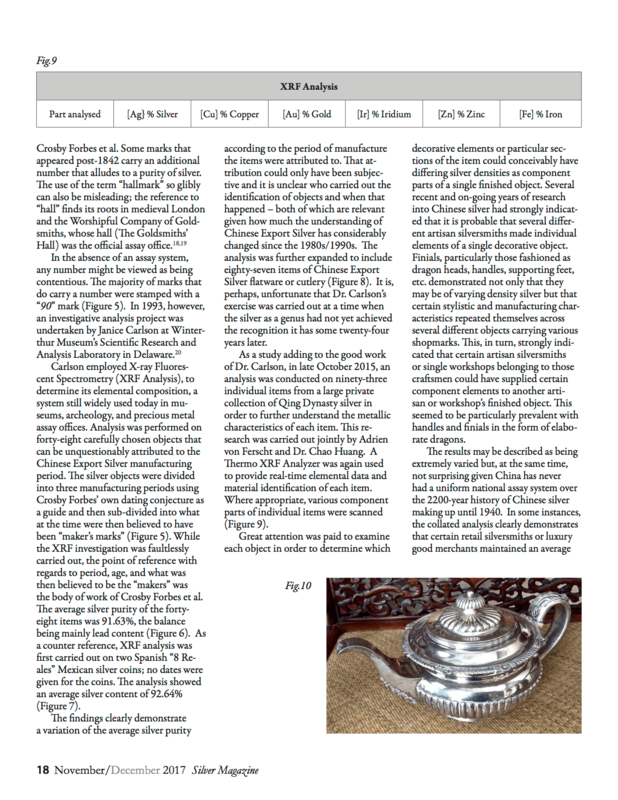 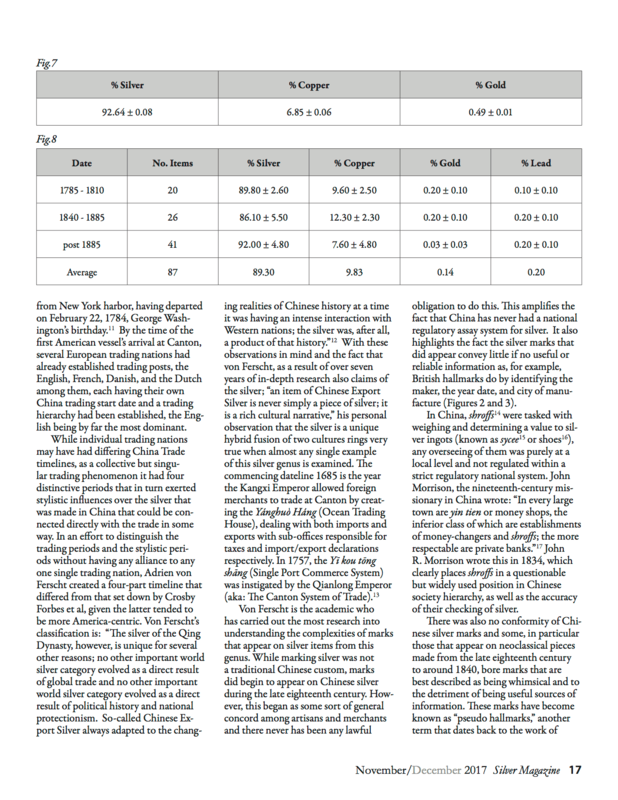 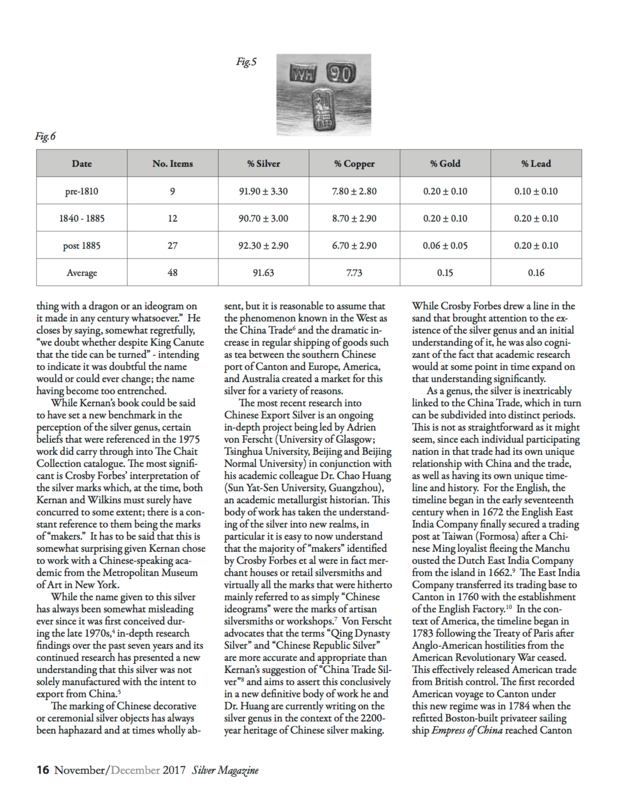 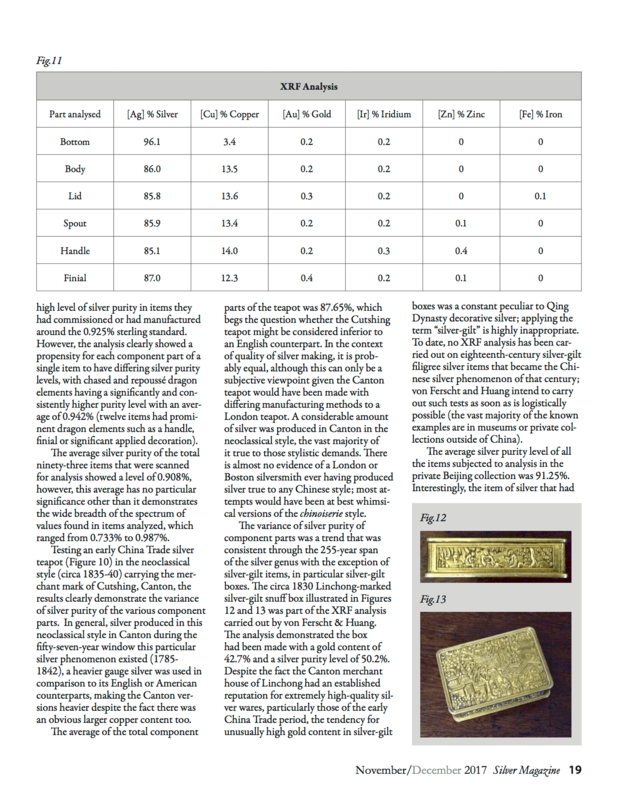 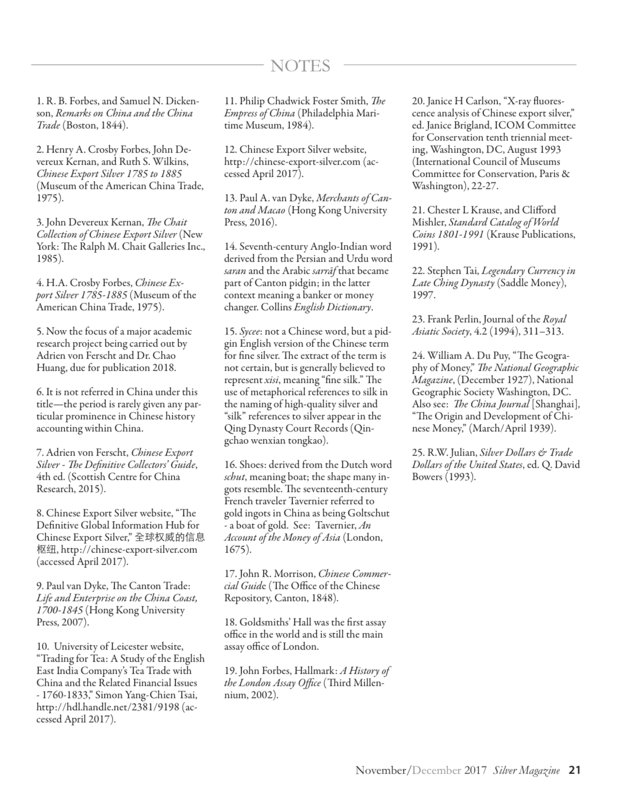 In late October 2015, having collated a large and important private collection of Chinese Export Silver in Beijing, a critical analysis was carried out on 93 individual items from the collection in order to understand the metallic characteristics of each item. 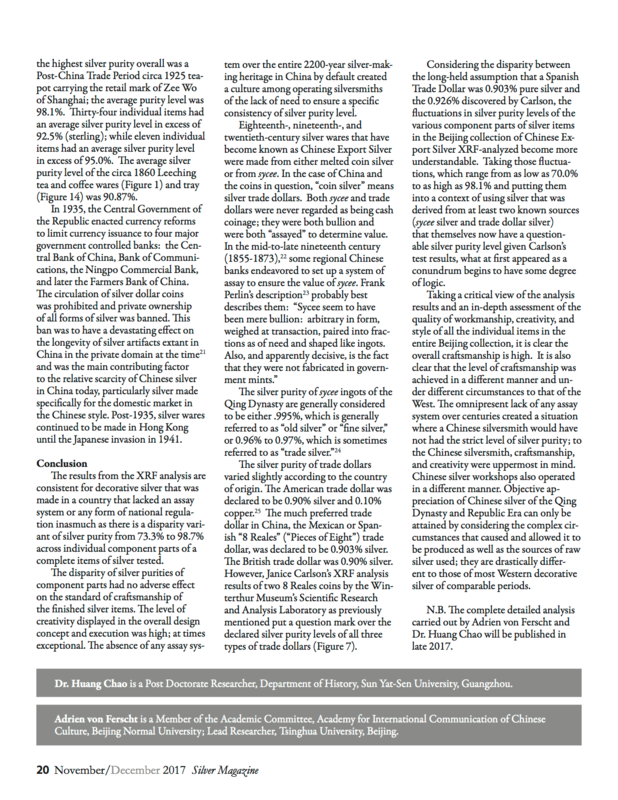 The research was carried out jointly by Adrien von Ferscht and Dr Chao Huang [Sun Yat-Sen University].